POPPY,I got Poppy from the wonderful Jane, Nicki and Mike Denny of Janimist beagles and she is a stunning looking beagle. She is a very typical naughty beagle, always into something trying to get herself into trouble. She loves playing with Piper and the weims, but her favourite is my Bane. 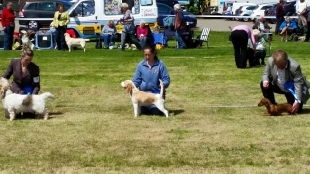 Poppy has been out to a couple of shows and has always been placed, but I’m hoping when she matures into her body she will do much better as she is a very stunning little tan and white beagle. 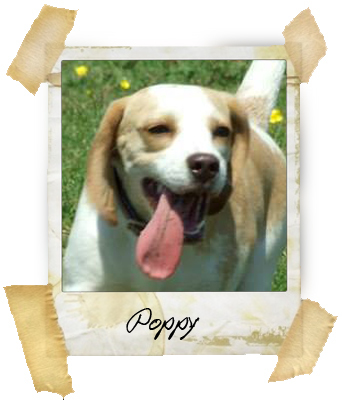 I can only hope that Poppy will show in the ring to the best of her ability and do her beagle mum and dad proud.